TV host and comedian Steve Harvey returns as a guest on THE TALK, Thursday, November 8, 2012, on the CBS Television Network. 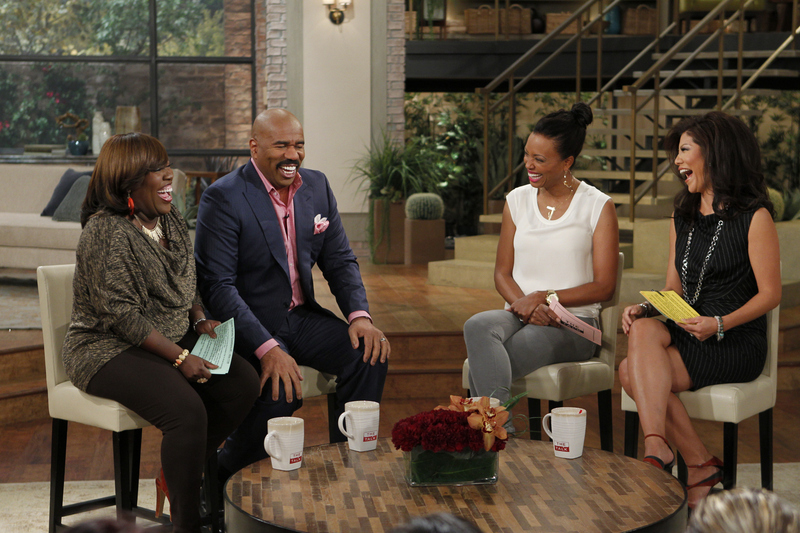 Sheryl Underwood, from left, Steve Harvey, Aisha Tyler and Julie Chen, shown. Photo: Cliff Lipson/CBS ©2012 CBS Broadcasting, Inc. All Rights Reserved.